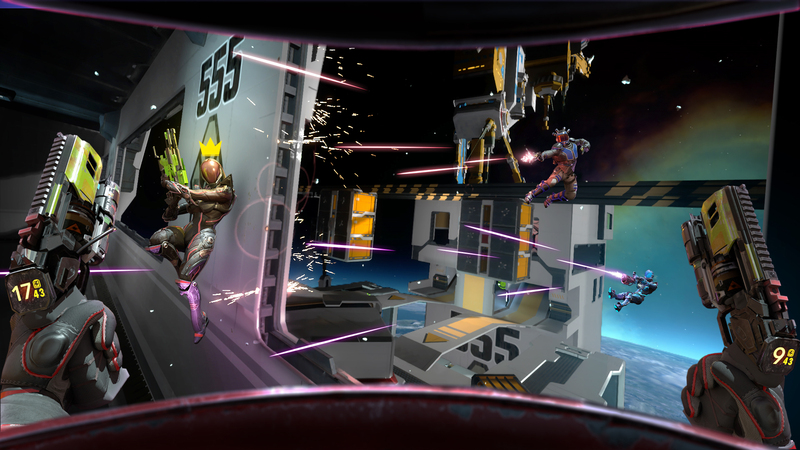 We’re delighted to announce that the Open Beta for Space Junkies launches tomorrow, March 21 with cross-platform support so PlayStation VR players can challenge or team up with players on other VR platforms. 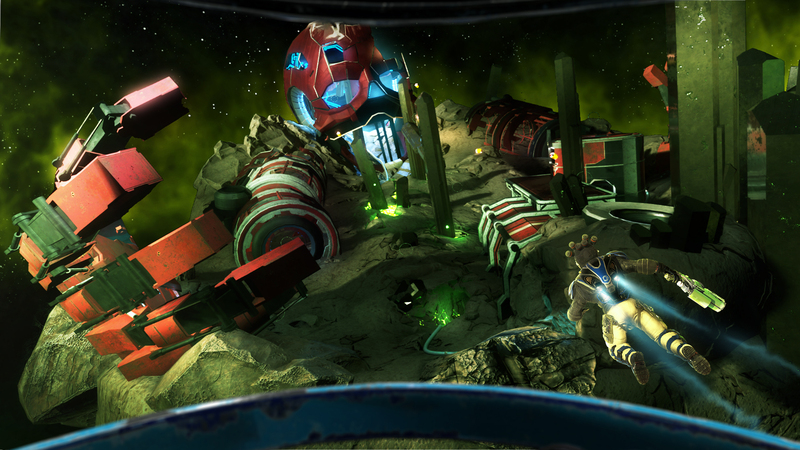 Prepare to enter deadly orbital arenas and fight against other players in a variety of modes (Duel, Free-for-All, Team Death Match and King Mode). Powerful weapons like Nuclear Slingshots and Plasma Sniper Rifles are dispatched around the arena for you to pick up and use as you like! With a selection of 15 different characters and six pieces of equipment to choose from, fine-tune a load out that fits your playstyle and that will lead you to victory! Feel like rushing and fighting up close? Pick Bugout, the fastest character in the game, and equip the solar sword to finish your enemies up close. Want to feel like an unstoppable tank? Pick Junker, the most robust character of all, and equip the photon shield to absorb enemy fire and bulldoze your way through their ranks! 1) How long will the beta run for? 2) What is the game’s actual release date? 3) Will all characters and modes be available in the beta? 4) Is there any sort of progression system in place? 5) Will any progress carry over to the actual release? Very much appreciate the beta. And PC cross play? Bonus! I was worried about the potential life of this game but PC cross play alleviated said worries. Ubisoft VR games are always cross platform (Eagleflight, Werewolves within, StarTrek etc). Must have been a condition they set out. Those guys are clever. From the big 3. EA, Activision and Ubisoft, the latter was always the most decent. No just the training mode is single player from what I’ve seen. The multiplayer is good though. Needs a lot of work but it’s good. Sweet! This game looks awesome. Also Ubisoft was always the biggest 3rd party that consistently supports PSVR. Merci! We’re still patiently awaiting it’s arrival on North American store. I loving this game but it really needs move controller support and possibly aim controller support as well. The DS4 works well but the aiming is a bit goofy.